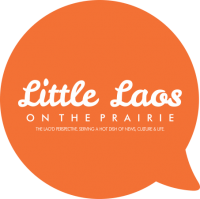 E-Fundraiser: Help Support 'Voices from Laos' Speakers Tour Across the U.S.! Did you know From 1964 to 1973, the U.S. dropped more than two million tons of ordnance on Laos during 580,000 bombing missions—equal to a planeload of bombs every 8 minutes, 24-hours a day, for 9 years – making Laos the most heavily bombed country per capita in history? 2013 will be the 40th anniversary since the end of the bombing campaign in Laos, yet children and families continue to be maimed and killed from them. Help Legacies of War, an advocacy nonprofit organization, work towards a legacy of peace and hope through the Voices from Laos educational speakers tour across the U.S., which kicks off in April. Women for Peace & Hope in Laos, a group of philanthropists, invite you to commemorate the significance of this anniversary by donating to Legacies of War with just a click on the link below. Any amount will help. Please share with your friends and family. Let’s make this happen by April 15, 2013; right in time for Lao NewYear!